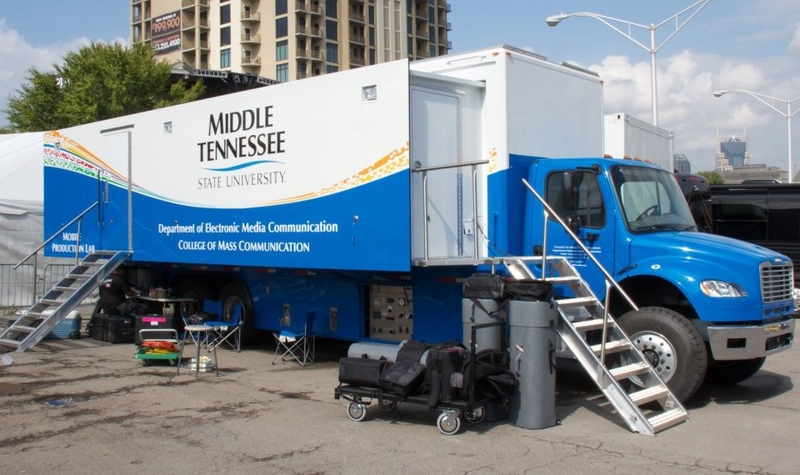 On Dec 12, the Electronic Media Communication student-staffed production company, “EMC Productions,” produced the Middle Tennessee/Auburn men’s basketball game for the Conference USA Digital Network, Blue Raiders Network and MT10, the college’s student-run television station. Thirty MTSU faculty and students arrived at the Bridgestone Arena in Nashville at 6 a.m. to prepare for an 11-camera live, noon game and ultimate MT win. 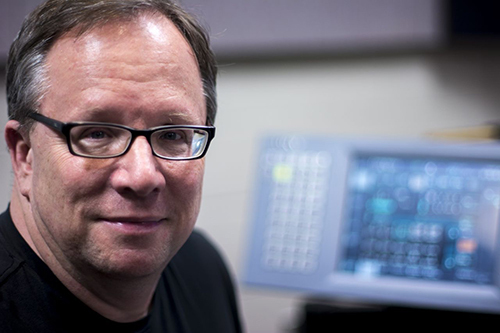 Students enrolled in the advanced EMC and Master of Fine Arts in Recording Arts and Technologies (MRAT) production courses, co-taught by Gordon and Recording Industry Professor Dan Pfeiffer, will also produce and direct an additional five professional concerts this semester. Two will be from the Franklin Theater in Franklin, Tennessee, the first a performance by the award-winning bluegrass act “Doyle Lawson and Quicksilver,” and then a Roy Rogers tribute concert by Riders In the Sky. The class will also produce a Pied Piper concert for children with the Nashville Symphony at the Schermerhorn Center in Nashville and work with College of Media and Entertainment-sponsored events on the MTSU campus in April.